The National Council of Educational Research and Training (NCERT) developed the NCERT EXEMPLAR BOOKS for CBSE students. In particular, these Exemplar books prepare the students and enlightens them with the subject knowledge. So that, students can find the Exemplar books with solutions for their favourite science and math subjects. These books help the students to practice. Moreover, the users can download the books in a pdf format for free. In fact, the students will be able to cover their CBSE syllabus as well prepare for their competitive exams. The competitive exams include NEET, JEE Main, JEE Advanced etc. For an instance, it will help the student to understand the concepts and help improvise their problem-solving skills. Thereby, it will speed up the learning process and the student’s quantity. Therefore, the table below lists the NCERT Exemplar Books from Class 9 to Class 12. In NCERT Exemplar Books, students can find all the topics under each subject. Furthermore, equal importance is given to every lesson or topic. Each topic has a variety of questions. Starting from Multiple-choice Questions, Short Answer Type Questions and Long Answer Type Questions. Science subjects include Physics, Chemistry, Botany, and Zoology. From basic science to complicated topics, concepts are discussed in detail. Necessary diagrams are provided wherever necessary. Moreover, the students get to practice on all the concepts. To begin with, extra questions with different difficulties serve as the whetstone to the students’ brains. As a result, NCERT Exemplar Books have become the bible for those who prepare for competitive exams. Furthermore, they have new concepts introduced and contain skill developing questions. Moreover, they help both the students and the teachers in applying the concepts that have been learned and taught to. These practice books help and improvise the learning process of the students. NCERT Books build students’ knowledge of concepts. Above all, they help the students in the application of the concepts – from basic to the complicated. Interestingly, students understood the value of education. These books kindle the curiosity of every student. The concepts and theorems shed a different light on the student’s perspective towards education. It helps to increase the students’ analytical and logical skills. Specifically, the students will learn the nitty-gritty of these subjects. The variety of questions will help students scratch their brains. These Exemplar books will have a positive effect on the students in the long run. What will the students gain from NCERT Exemplar Books? Above all, students will be able to easily solve the questions using high order thinking skills. Students will understand the concepts and be able to put in practice. The advanced level questions will help the students develop advanced skills in science and maths subjects. It will increase their logical and analytical skills. They might understand its potential and develop a passion towards any of the subjects. Memorizing the concepts and theorems will not be necessary as the students will comprehend the concepts. They will be able to solve the twisted questions because of all the practice exercises. The concepts become sensible as they practice more often. The positive effect of the books on the students will help in their growth and development. CBSE final exams will be a piece of cake for the students. Preparations for competitive exams like NEET, AIIMS, JEE Main, JEE Advanced will become easier. Thus, NCERT Exemplar Books are an all-rounder which helps students to excel in their area of interest. we offer a wide range of academic services to both domestic and international students at all study levels, from editing, formatting, proofreading, researching, referencing and drafting to paraphrasing and text uniqualizing. Our qualified custom writings experts can help you handle any academic assignment across 20+ disciplines, be it an essay, coursework, research paper, speech, personal statement, dissertation, case study, PowerPoint presentation or any other project, no matter its size, urgency and complexity. NCERT Exemplar Books are a favourite book among students appearing for Class 10 Examinations. Students of class 10 will be exposed to the advanced concepts in science, necessary for clearing the Board examinations. Every year, around 10% of the questions in Board examination comes from NCERT Exemplar Book Class 10 Science. Practicing NCERT Exemplar Books will provide a strong foundation. As a result, the students will be able to meet the requirements to face the final exam. 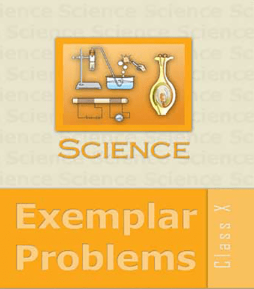 NCERT Exemplar Book Class 10 Science provides a detailed explanation of each chapter. As a result, students are able to develop their Critical-Thinking capability. The questions make them prepare for the Board exams as well other competitive examinations for class 10, such as National Level Science Talent Search Exam (NLSTSE), Indian National Olympiad (INO), Science Olympiad Foundation, etc. Getting good marks is very important for students of class 10. NCERT Exemplar Book Class 10 Science will help the students to understand the concepts in a more practical way. There are diagrams/ illustrations provided wherever required. Questions range according to difficulty levels. NCERT Exemplar Book Class 10 Science is made for all categories of students. It has Multiple Choice Questions, Short Answer Questions, and Long Answer Questions. Thus, Exemplar Books help the students in the learning process. By solving NCERT Exemplar Science Book Class 10, students will be able to solve the twisted questions due to the practical exercises. Understanding scientific concepts will be easier and fun. Class 10 marks an important milestone in a student’s life, opting for Science Streams depend mainly on the marks obtained in Class 10 Board exams. NCERT Exemplar Science book will help a student to develop their skills and fulfill their dreams of studying science by getting good marks in Class 10. We have provided free download links for the questions for each chapter. Click on the required link to download the NCERT Exemplar Book Class 10 Science in PDF format. NCERT Exemplar Books are helpful for students of Class 10. Facing the upcoming Board exams can make the students tensed and lose their sleep. Situations worsen if they are not prepared for it fully. NCERT Exemplar Books come to the rescue. It prepares students for the Board exams. Students must be thorough with the CBSE Syllabus before attempting to solve NCERT Exemplar Books. These books serve as a self-explanatory guidebook having questions of varied difficulties. 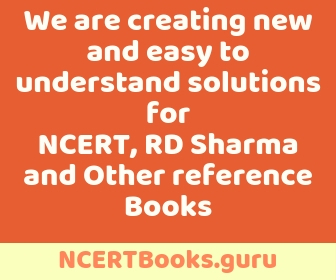 NCERT Exemplar Books also prepares the students for competitive examinations, such as the National Talent Search Examination (NTSE), National Interactive Maths Olympiad (NIMO), etc. Why NCERT Exemplar Book Class 10 Maths? NCERT Exemplar Book Class 10 Maths will make the students strong with the fundamentals. In fact, the books will help them to solve the questions in many other ways. The book serves as a self-assessment for students. In fact, students can solve the questions and rectify their mistakes easily. The chapters are explained in a proper manner, with equations and formulae wherever required. They are a very good resource for preparing the students to face critical questions. NCERT Exemplar Book Class 10 Maths is important for students of class 10. Firstly, it has various types of questions, depending on difficulty levels. Secondly, the conceptual sums will increase the logical and analytical power of the students. The student is bound to excel if he/she spends enough time solving NCERT Exemplar Book Class 9 Mathematics. Students will know various theories and formulae. Not only that, but questions from NCERT Exemplar Book Class 10 Maths are also asked in Board exams. Students will also get to know the shortcuts and tips when it comes to solving twisted problems. In conclusion, the Exemplar Books will make everyone fall in love with mathematics. The practice books will help the students progress in the mathematics subject. Below, we have provided links for NCERT Exemplar Book Class 10 Maths. Click on the link to download the NCERT Exemplar Book Class 10 Maths PDF files for free. Mathematics can be easier if the students are strong with the fundamentals. Thus, NCERT Exemplar Book Class 9 Maths comes to the rescue. Firstly, the practice book will help the students progress in the mathematics subject. Secondly, The conceptual sums can be easily decoded if the students spend enough in time solving the NCERT Exemplar Book Class 9 Maths. The questions are varied: from multiple-choice to twisted. The conceptual sums of NCERT Exemplar Books help the student increase his or her analytical skills. NCERT Exemplar Maths Book Class 9 will help the students to be thorough with formulas and theories. In fact, the books will help them to solve the questions in more than one way. More importantly, students will also get to know the shortcuts and tips when it comes to solving twisted problems. Each chapter is described in details. Therefore, it provides an opportunity for the students to have more focus on the application of concepts, rather than learning the concepts. 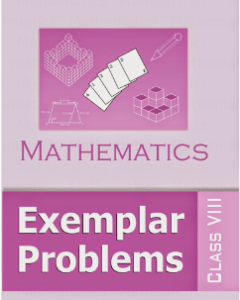 In total, there are 14 chapters in NCERT Exemplar Book Class 9 Maths. It covers the basics and fundamentals of mathematics on all topics. In addition, it has added information on a higher level for various competitive examinations, such as NTSE, NIMO, etc. 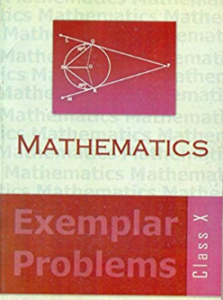 NCERT Exemplar Book Class 9 Maths prepare the students for competitive exams like JEE Main, JEE Advanced, NEET etc because they are specifically designed for entrance exams. In conclusion, the NCERT Exemplar Book Class 9 Maths will make everyone fall in love with Mathematics. We have provided free download links to the NCERT Exemplar Book Class 9 Maths questions. 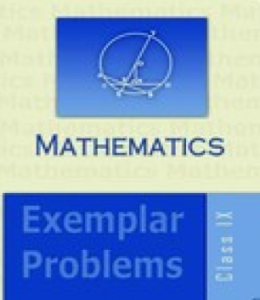 Click on the required link to download the NCERT Exemplar Maths book for class 9 in PDF Format.